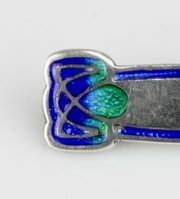 A wonderful Art Nouveau silver and enamel brooch, fully hallmarked for Birmingham 1908 with the sponsors mark JF for James Fenton. 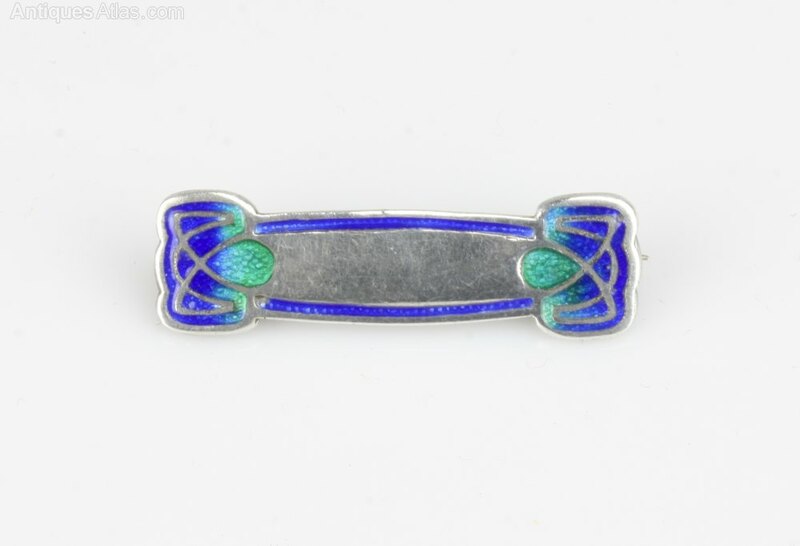 A lovely design, it looks stunning.Offered in good condition, commensurate with age, it measures 35mm wide by 11mm max high and weighs 3.8grams. It will be sent in a custom Levels Antiques jewellery box.